While Apple and Samsung are said to once again be in talks to settle their ongoing patent disputes, Apple has said that comments from Samsung's lawyers portraying the iPhone maker as "jihadist" suggest that such talks might just be a waste of time. 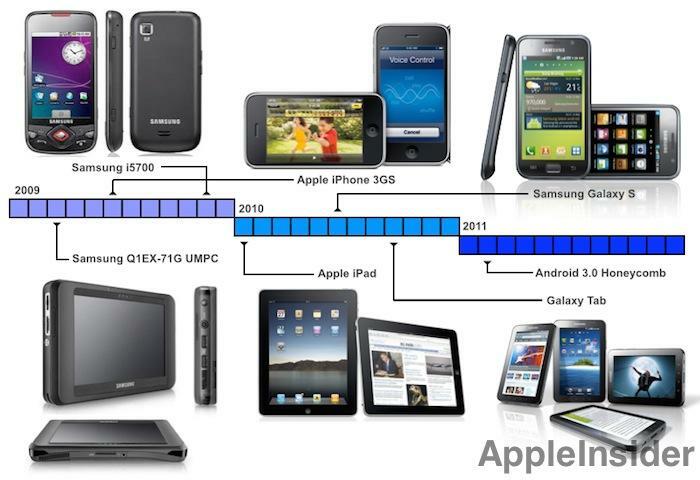 In new court filings, Apple's attorneys argue that the company has "always been willing" to participate in settlement talks that would bring to an end the worldwide litigation between it and Samsung. The documents reveal that Apple Chief Executive Tim Cook and other senior executives at the company have devoted five days in an attempt to reach a settlement. But Apple's attorneys openly question whether settlement talks are a waste of time, as they believe Samsung may have zero interest in actually reaching a settlement. Apple believes comments from a Samsung attorney calling the iPhone maker "jihadist" aren't productive for initiating settlement talks. As evidence of this, Apple's legal team cites two stories in which key Samsung lawyer John Quinn made inflammatory remarks about Apple and its intentions. In one quote, Quinn says that "it's kind of hard to talk settlement with a jihadist." Apple's attorneys said comments like this are unlikely to signal a "fruitful return to mediation." In another story, Quinn is quoted as saying that he believes Apple will not see any money from Samsung in its litigation. He also dismissed earlier verdicts against Samsung, saying that Apple hadn't "collected a penny" or managed to take any products off of the market. "This is Apple's Vietnam, and people are sick of it," Quinn was quoted as saying in a March interview with Law360. As such, Apple is concerned as to whether Samsung is in fact "genuinely interested" in pursuing a settlement. Apple says it would rather settle than continue in the courtroom, as long as an agreement would recognize and protect the company's intellectual property. "Apple remains concerned that despite protestations to the contrary, Samsung has adopted a business model that prohibits early or even timely resolution of any dispute involving intellectual property infringement," Apple's filing reads. It goes on to state that comments from Samsung's attorneys suggest the company believes that existing judgments will not withstand appeal. Apple suggests that the comments from Samsung indicate it has no interest in settling, as it believes it can prevail with a prolonged court battle. The filing, made on Monday, comes as a report out of Korea alleged that Apple and Samsung are once again in talks to settle their patent infringement disputes, which span across the globe in numerous legal clashes. Talks are said to have reignited after Apple was found to have infringed on some Samsung patents in their most recent U.S trial. While both Apple and Samsung were found guilty of patent infringement, the disparity was wide: While Apple paid only$158,000 in damages, Samsung was fined $119.6 million. Still, the retrial proved advantageous for Samsung, which saw its original damages reduced from some $1.05 billion.